Flipping homes is not a fad, and increasing demand for these products makes this a lucrative opportunity. 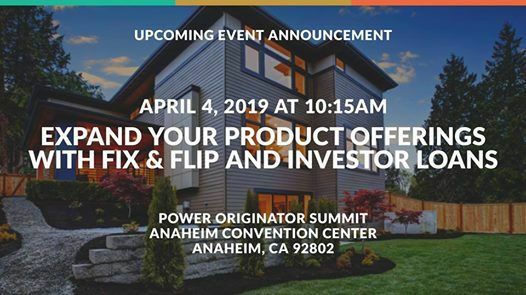 Learn how to find the best prospects, educate your current borrowers, find hidden gems in your market, and become a valuable asset to both first time investors and seasoned professionals alike. 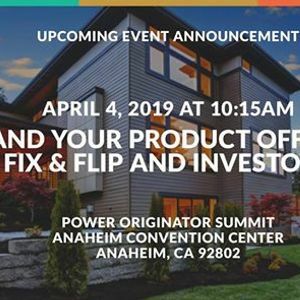 You’ll learn that the fix & flip market is a growing opportunity that you don’t want to miss out on. •	The demand is there – how do you capitalize on the interest? 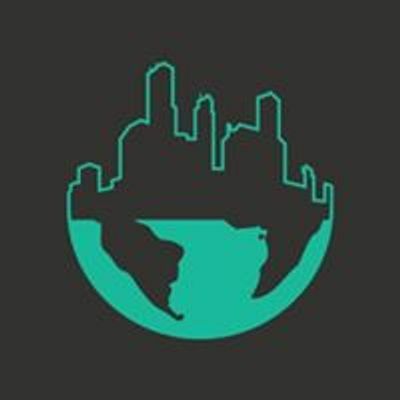 •	How can these loans connect you with new realtors?